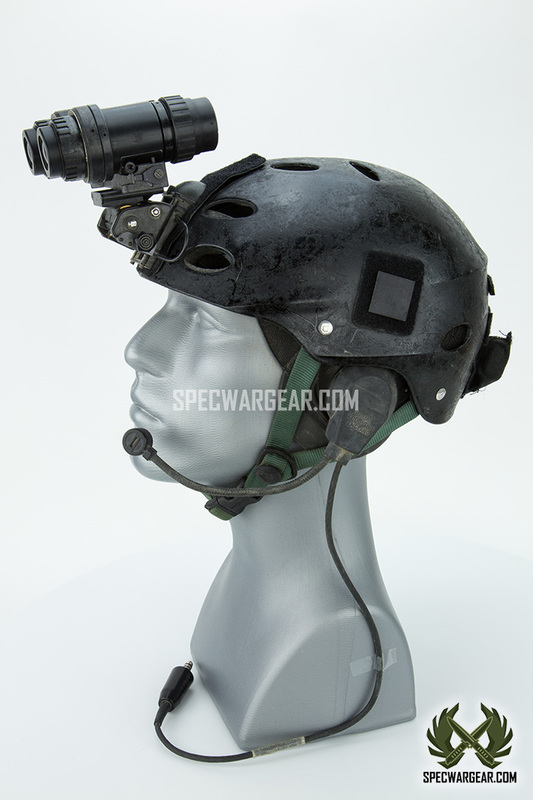 SKU: GEARHELM0015. 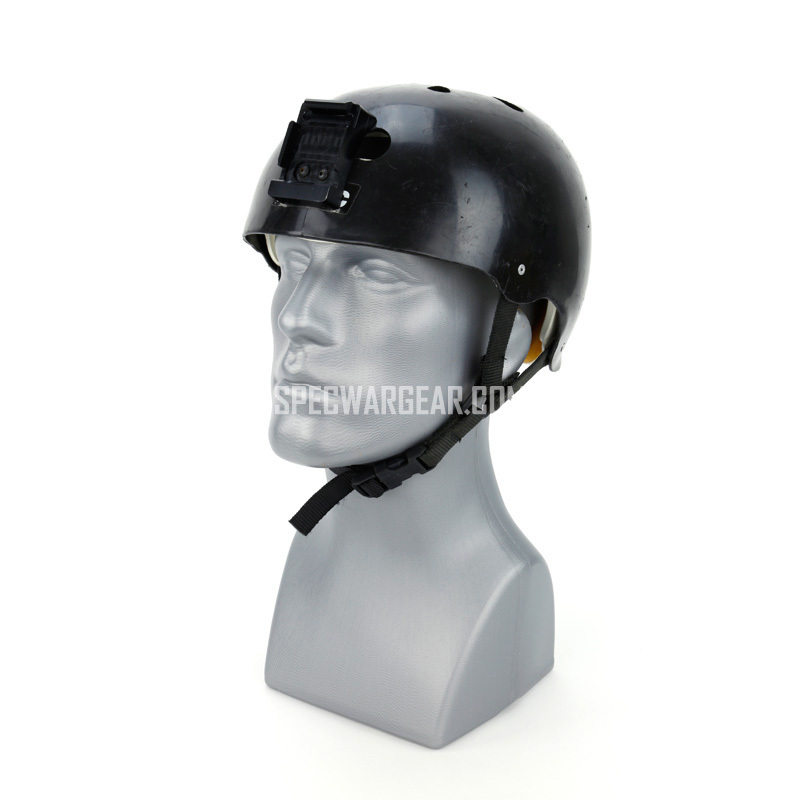 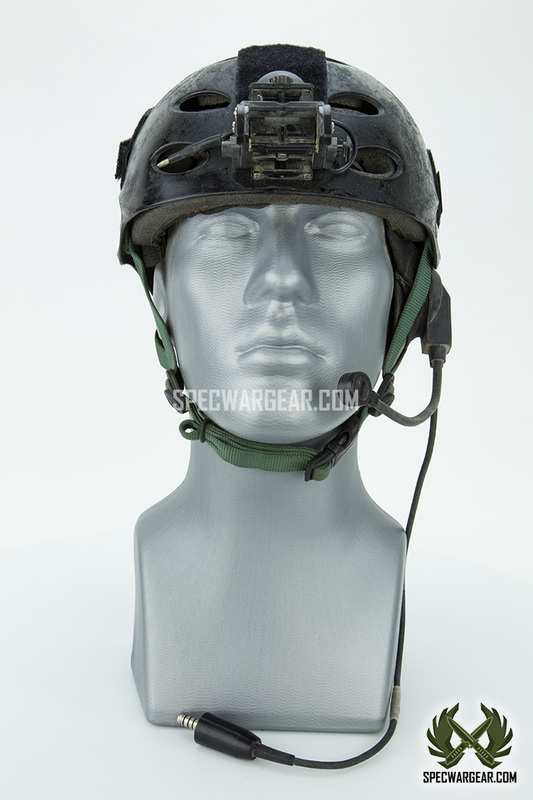 Availability: In stock Size: N/A Categories: Gear, Helmets, Non-Ballistic Helmets. 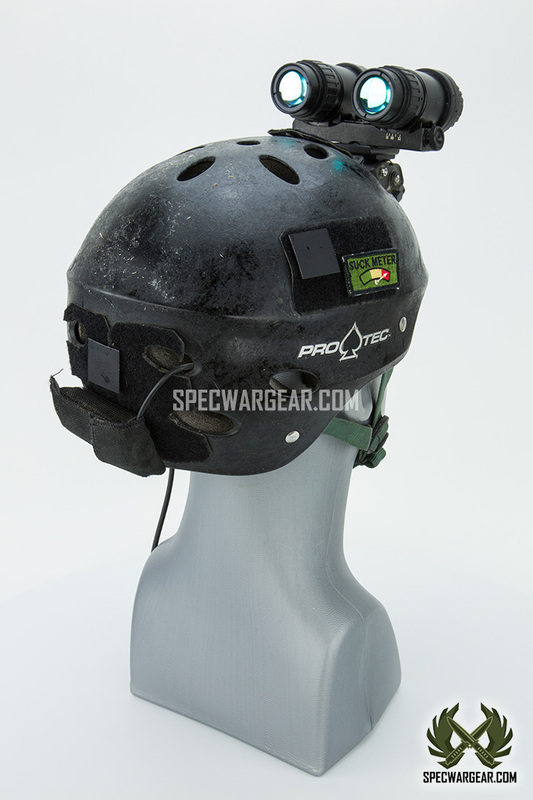 Tags: ACE Water Helmet, boat, Bump Helmet, Cave, CQB, HAHO, HALO, HALO helmet, Maritime, Non-ballistic, Parachute, Pro-Tec, Skydiving, VBSS. 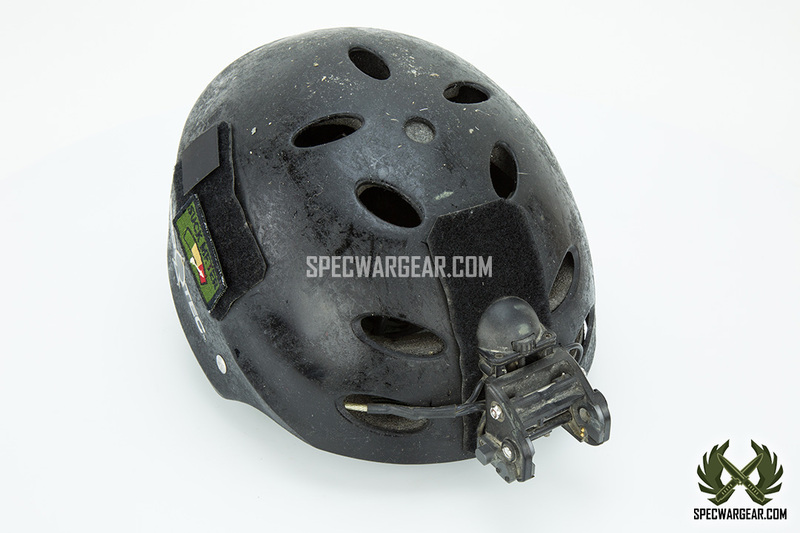 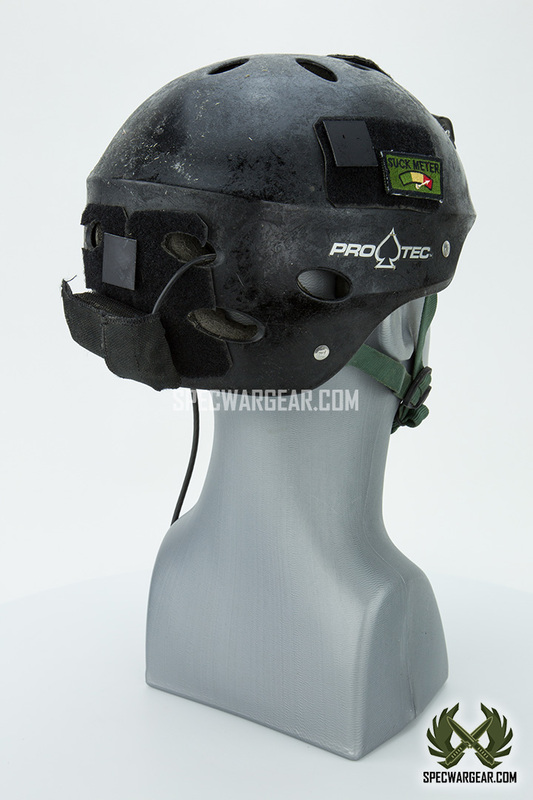 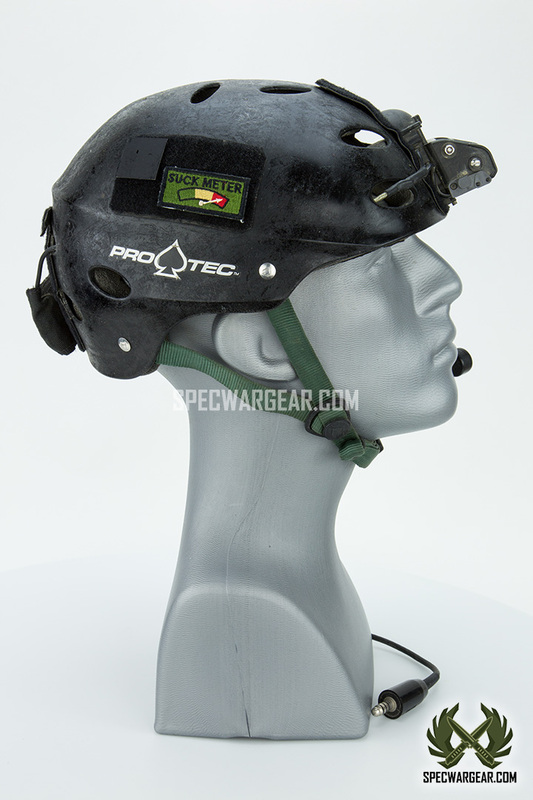 Pro-Tec ACE Water Helmet has been used by US SOF for its lightweight, low-profile, comfortable, superior ventilation, and excellent protective properties. 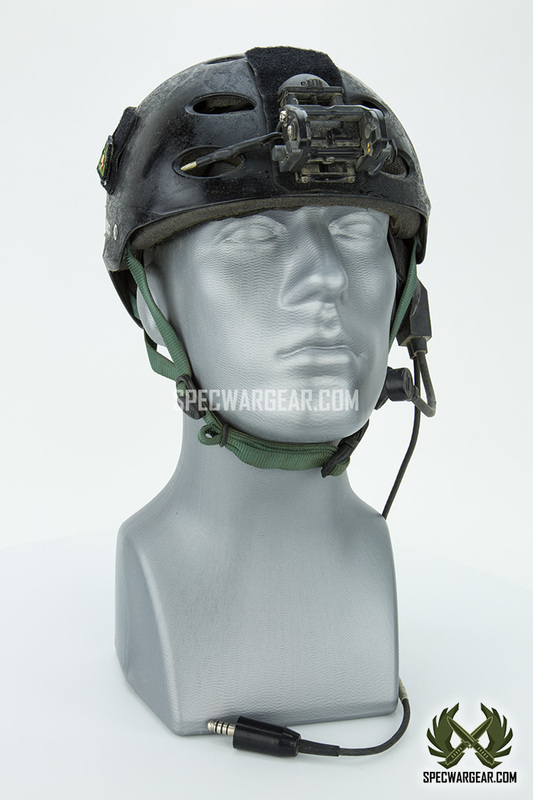 The helmet is made of a high density ABS plastic polymer. 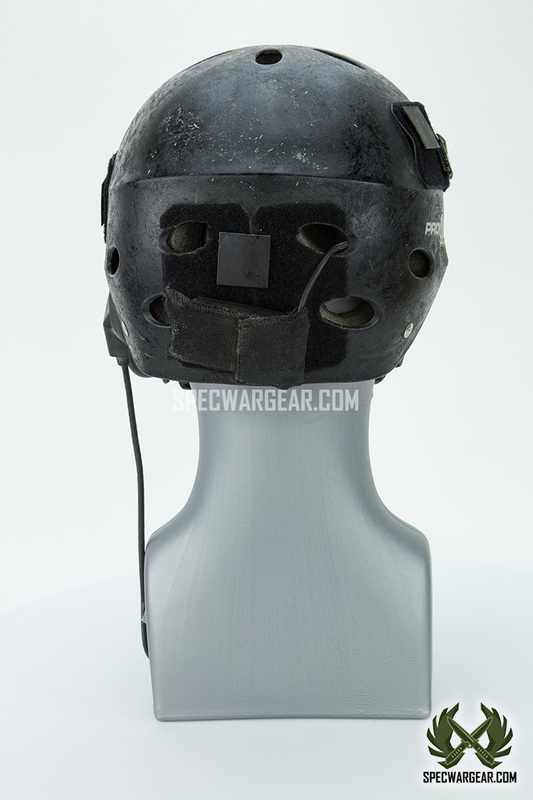 It has a non-reflective surface and is covered by fifteen open vents for ventilation and drainage. 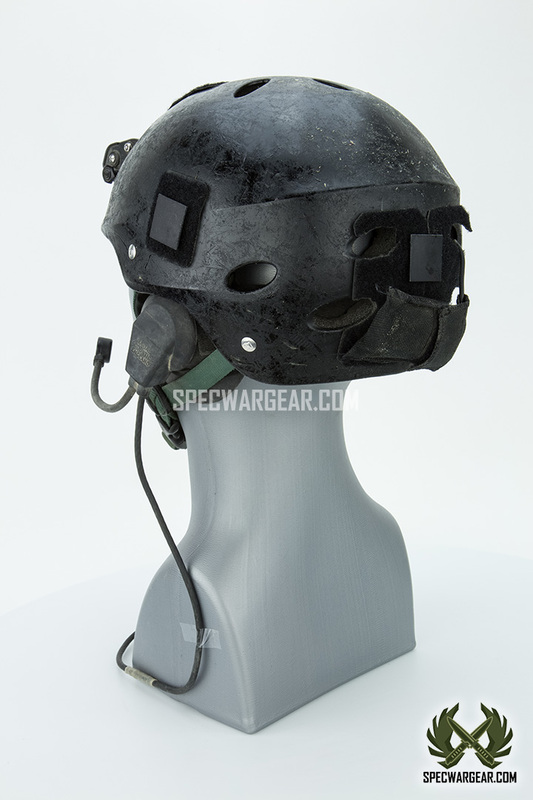 The helmet shell extends at the back to provide full surround interior protection including the occipital area of the head. 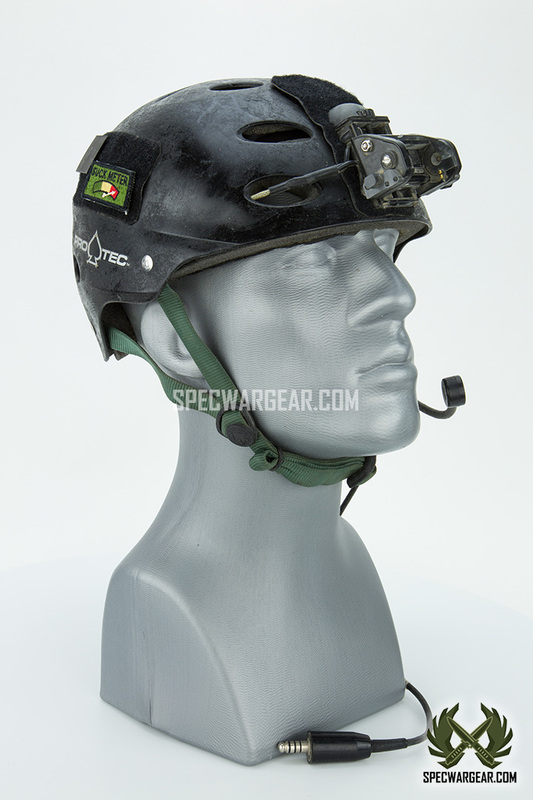 Dual density EVA inner liner and the fully adjustable Y-shaped chin strap offer great comfort / stability to the helmet during high speed maneuvers. 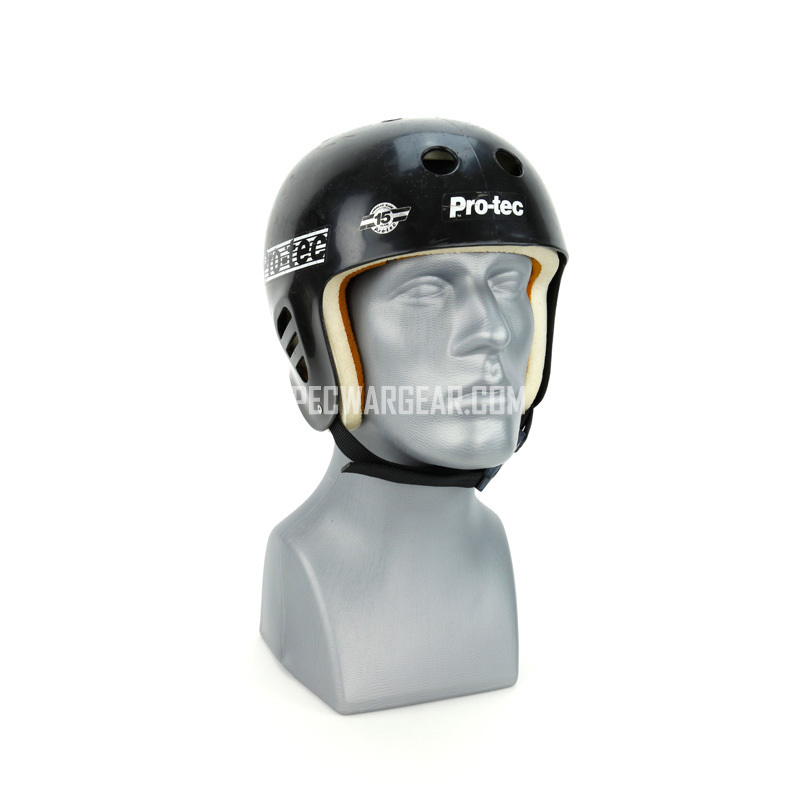 The helmet meets the CE EN 1385 Water Sport Safety Standard Certification. 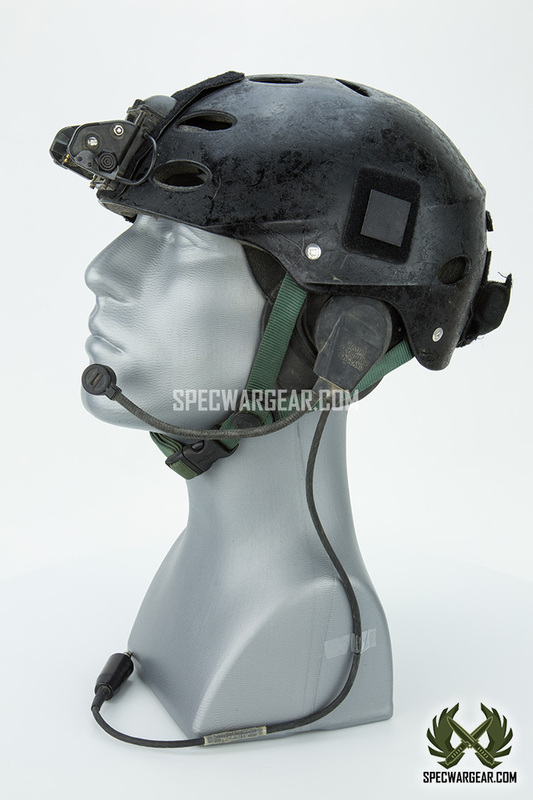 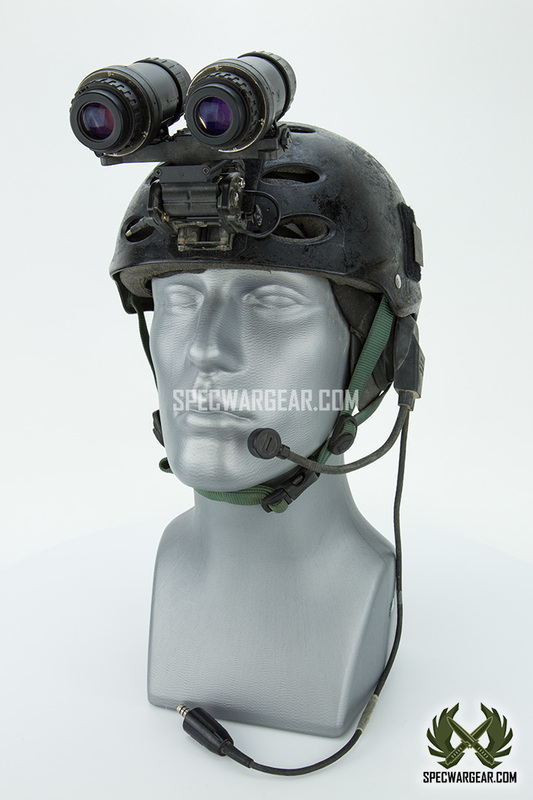 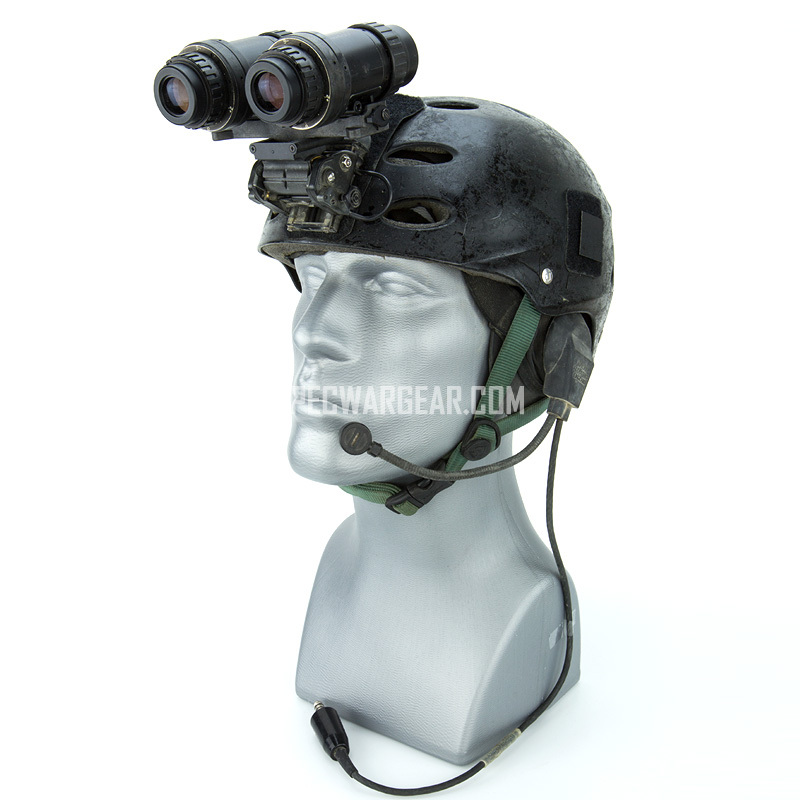 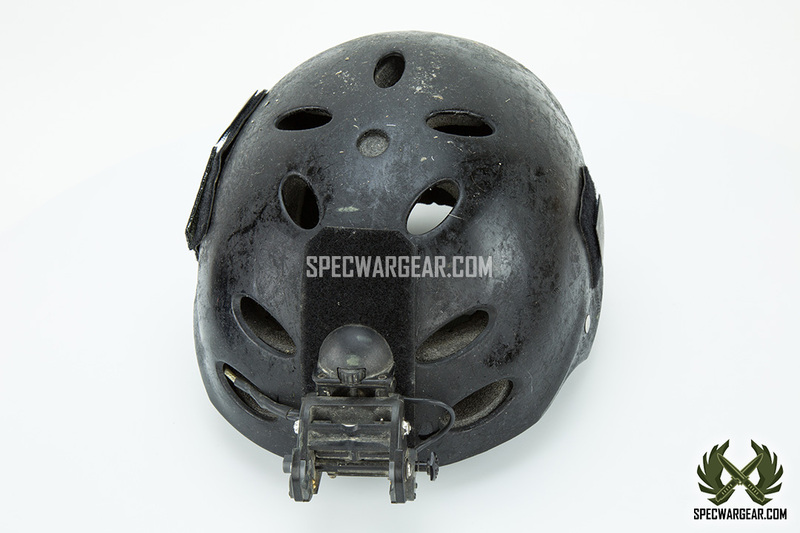 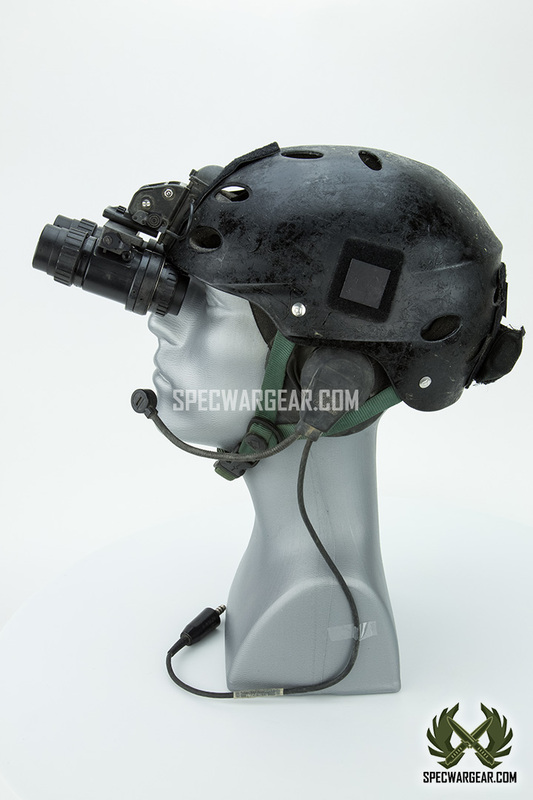 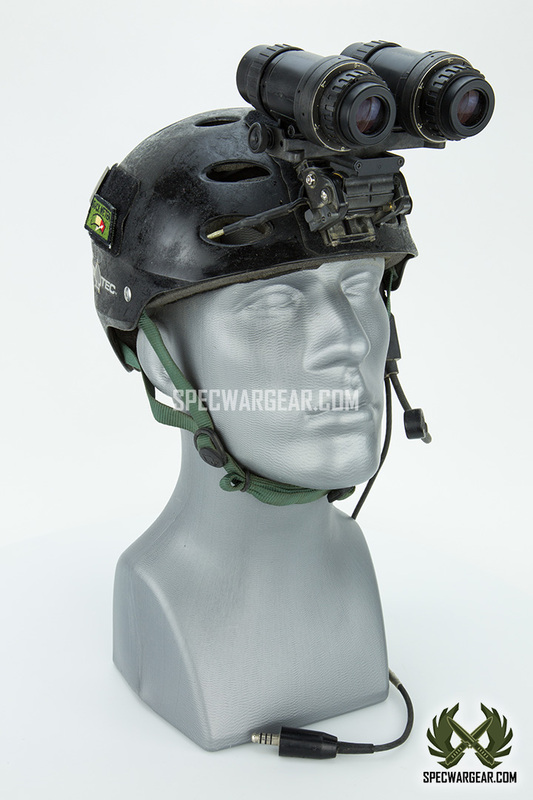 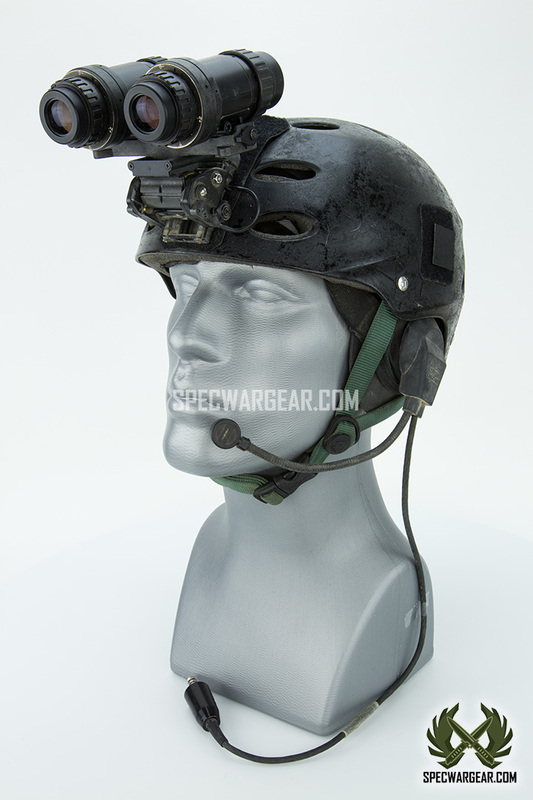 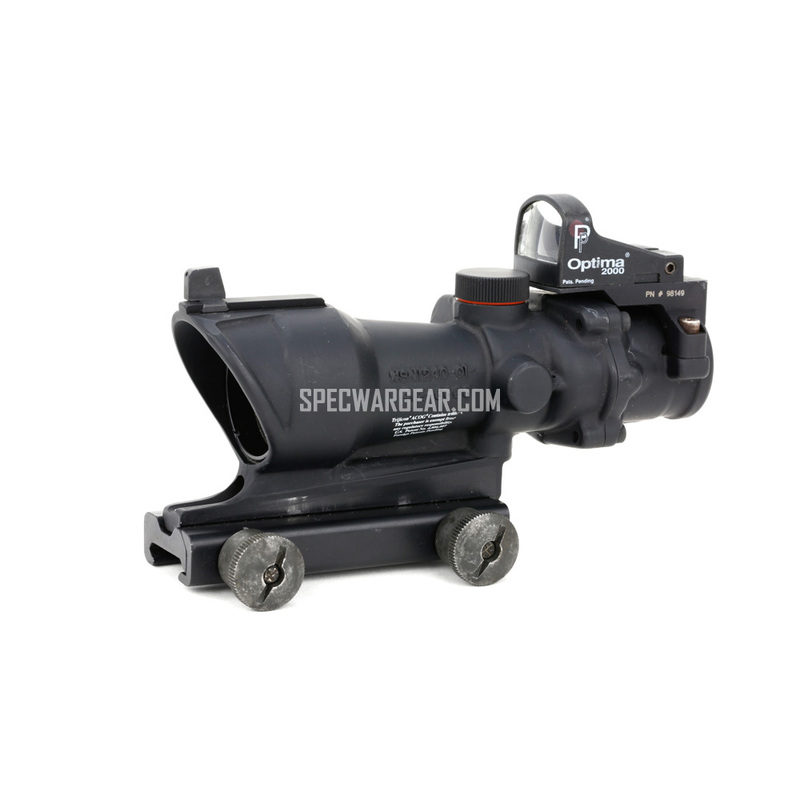 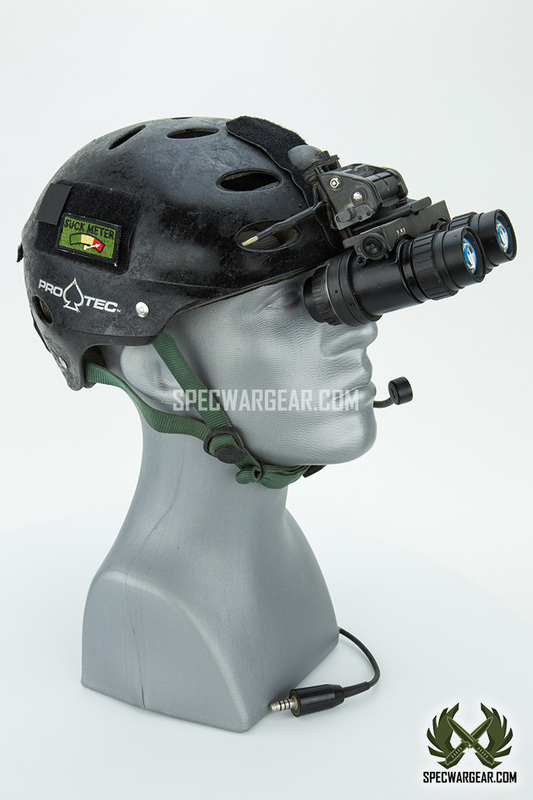 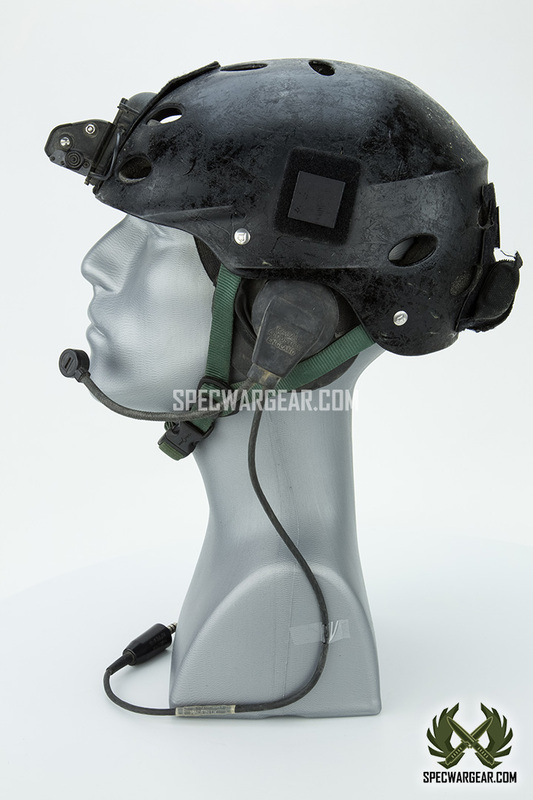 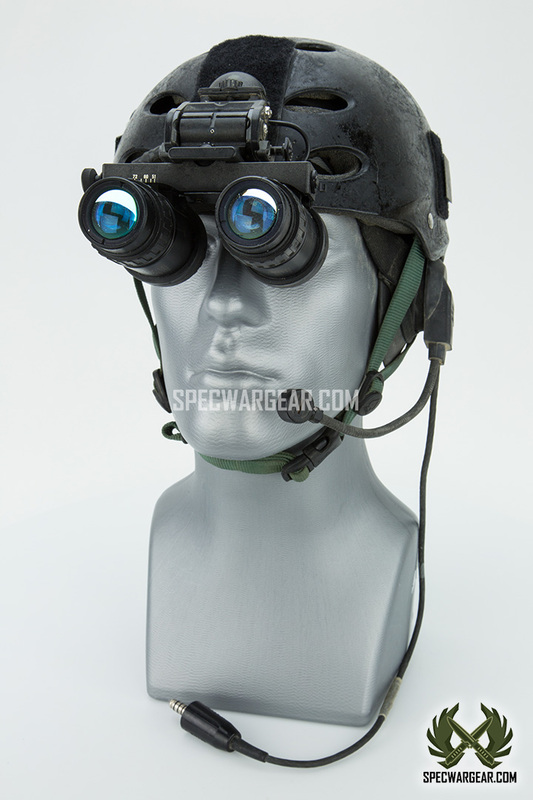 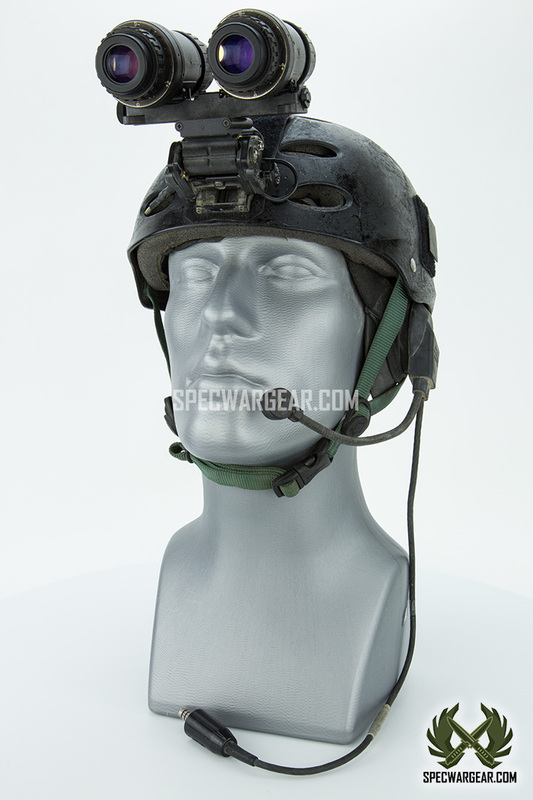 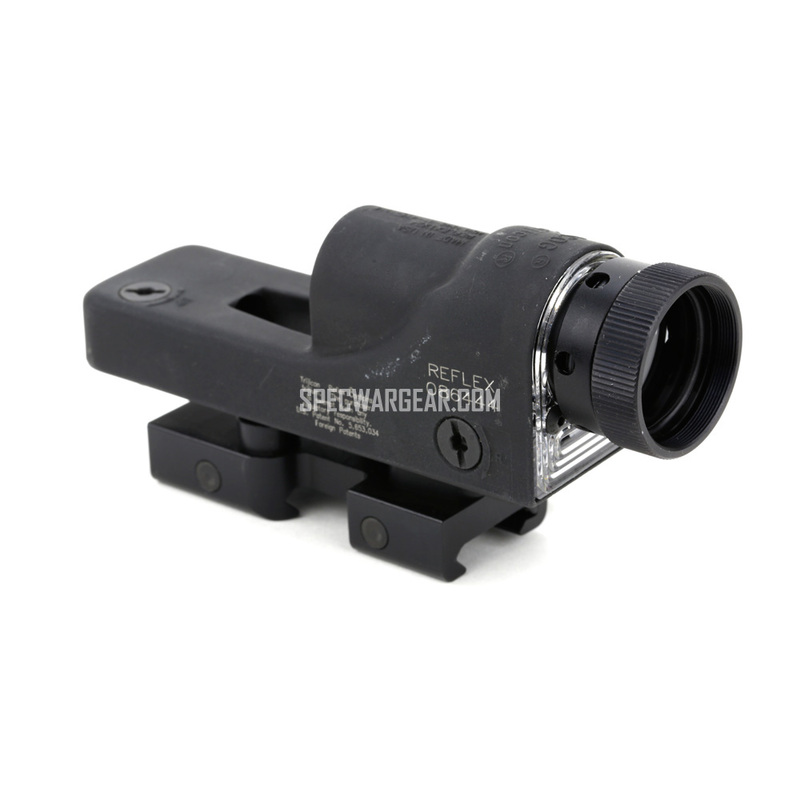 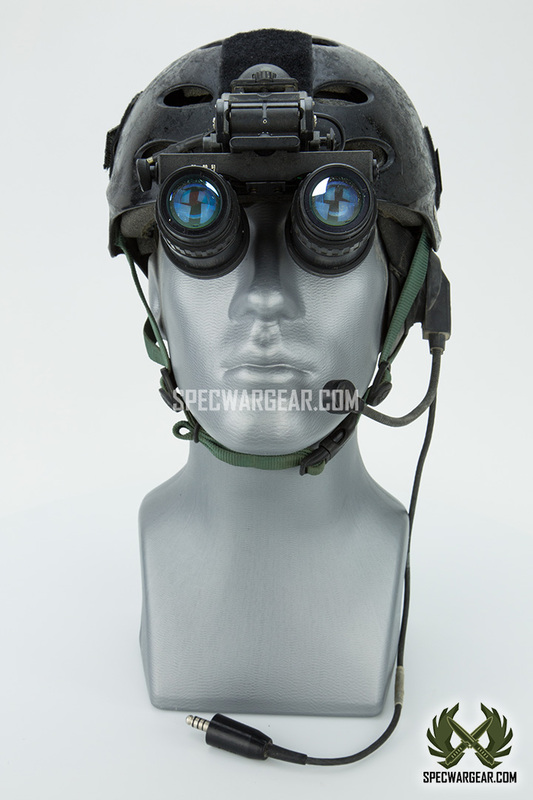 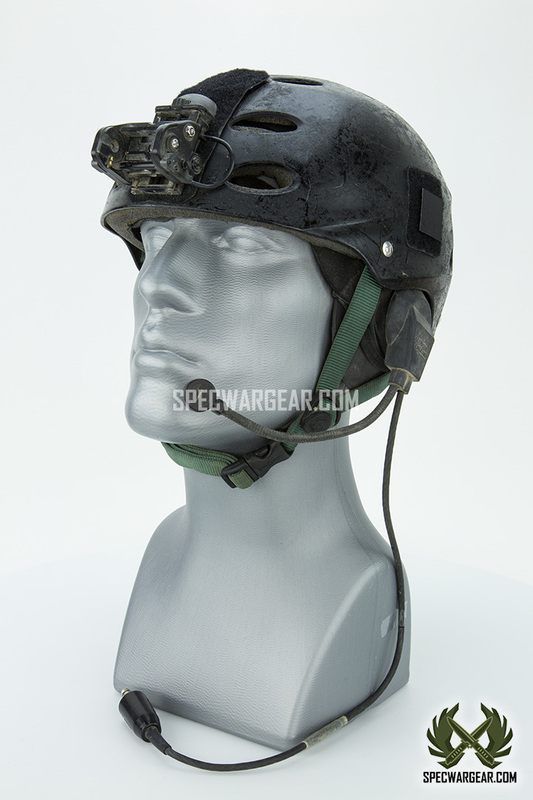 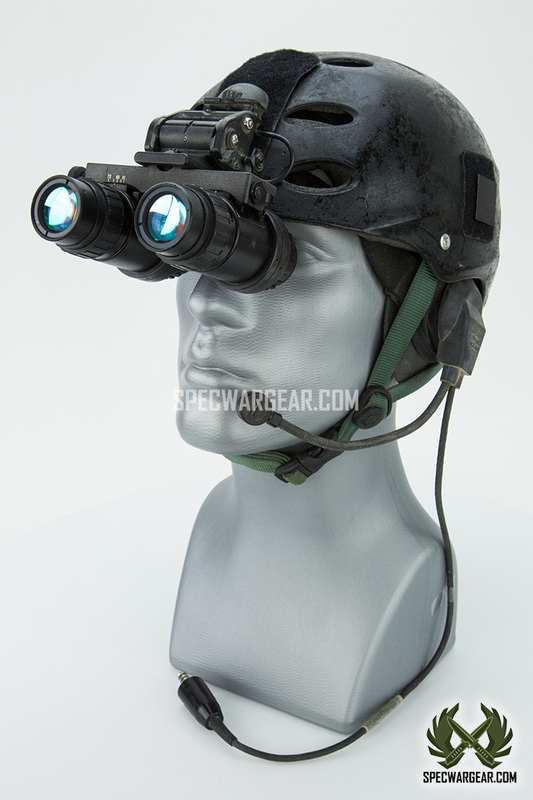 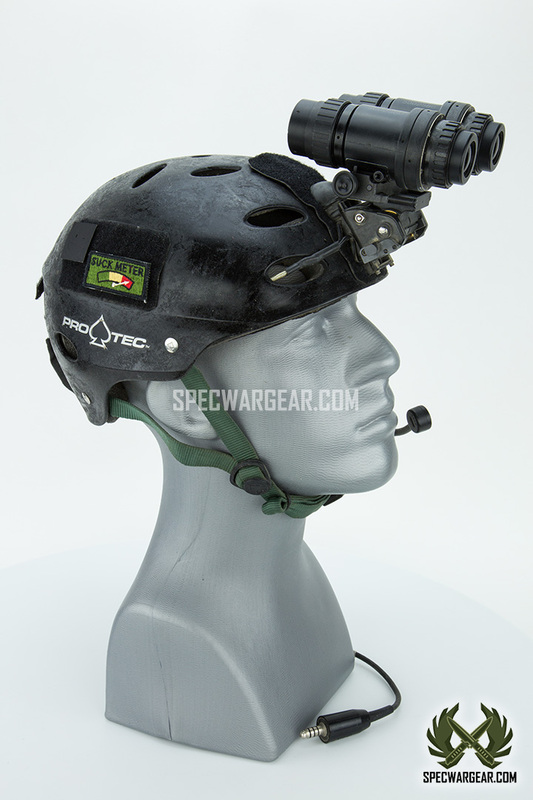 Pictures also feature a Racal headset, AN/VIS-6 NVG, NVG base mount and a battery pack.